The Year of the Sheep, 2015, will be welcomed at the following events in Little Tokyo during the first few days of the new year. 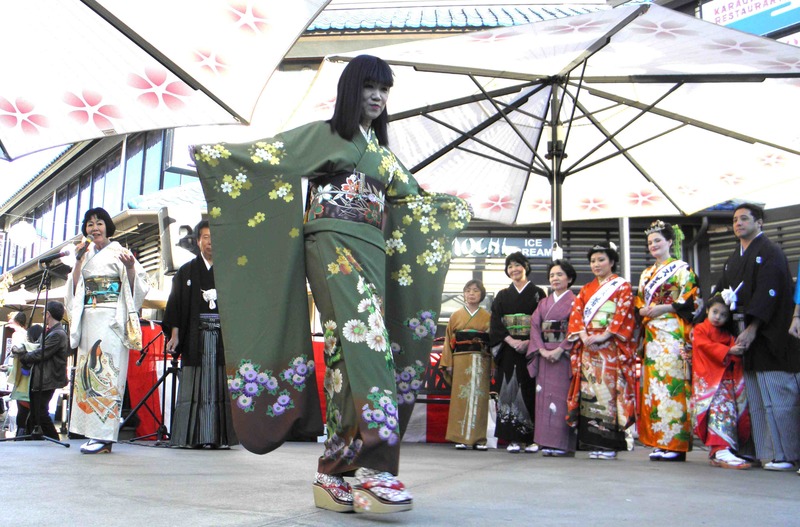 • “Oshogatsu in Little Tokyo” will be held on Thursday, Jan. 1, from 11 a.m. to 3 p.m. in Weller Court, Japanese Village Plaza and Francis Hashimoto Plaza. Admission is free. The event will feature traditional Japanese food, entertainment and cultural activities such as mochitsuki, a kimono fashion show, and sumo wrestling. The celebration is organized by the Japanese Chamber of Commerce of Southern California and the Japanese Chamber of Commerce Foundation with the support from the Consulate General of Japan in Los Angeles, the Nisei Week Court and various community organizations. “New Year’s in Japan is a very important day. It is the first day of the year and we can all start fresh … We are very excited to showcase how Japanese celebrate the new year,” said JCCSC President Yoshio Lee Aoki. • Also on Jan. 1, Koyasan Budhist Temple, 342 E. First St., will hold its annual “Hatsu-Goma” or first ritual of the new year from 10 a.m., officiated by Bishop Emeritus Taisen Miyata. The fire ceremony includes the chanting of mantras and the beating of taiko. The temple will be open from 9 a.m. to 5 p.m. from Jan. 1 to 3. Info: (213) 624-1267. • Shusse Inari Jinja, a Shinto shrine from the Izumo region of Shimane Prefecture, will set up a mini-shrine on Astronaut Ellison S. Onizuka Street (by Weller Court) on Jan. 1 from 11:15 a.m. to 4 p.m. Saitan Sai, a ceremony praying for good luck and happiness in the new year, will be performed from 11:15 to 11:45 a.m. and ceremonial items will be available for purchase. • On Sunday, Jan. 4, the Japanese American National Museum, 100 N. Central Ave., will hold its annual Oshogatsu Family Festival from 11 a.m. to 5 p.m. It will feature crafts, music by Taikoza, candy-sculpting demonstrations by Shan Ichiyanagi, mochitsuki by Kodama Taiko, an appearance by Hello Kitty, and a petting zoo. Free admission. Info: (213) 625-0414, www.janm.org. • Also on Jan. 4, the Japanese American Cultural and Community Center will present Kotohajime at 1 p.m. at the Aratani Theatre, 244. San San Pedro St. A performance titled “Hatsu-Yuki” (First Snow) will feature traditional Japanese dance by Mai no Kai, Cambodian dance by Khmer Arts Academy, and Zen archery by Ikkyu, plus a special guest performance by students from the Tohoku region. Admission: $20 general, $18 for JACCC members. Info: (213) 628-2725, www.jaccc.org. • Also at the JACCC on Jan. 4, the 17th annual Shikishi Exhibition will open at 12 p.m. in the George J. Doizaki Gallery with a reception from 2 to 4 p.m. Members of the public were asked to express their hopes and dreams for the new year on shikishi boards. The exhibition will be on view through Feb. 15. Free admission. Gallery hours: 12 to 5 p.m. Tuesday through Friday, 11 a.m. to 4 p.m. Saturday and Sunday.